If the Zelda heritage wasn’t showing enough already, let me submit to you… the treasure chest! Tam-tada-TADAAA! 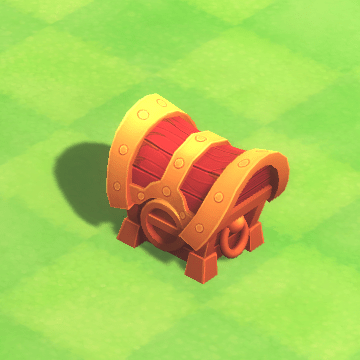 The chest can hold a variety of things, from quest items to health upgrades, to a simple abundance of Diablo-style loot. They are also frequently the cosy homes to Keys, which are naturally used to unlock doors, and which are incidentally the next feature I am going to get into the game. Over all, the treasure chest are pretty self explanatory, and I don’t have that much to say about them. I just think they look pretty! Why did it have to be Snokes? !